To deepen community is to find opportunities for ongoing connection. Community is not something some people have and others do not. We all have community in our lives. As living organisms, we gravitate toward one another. Something deep inside us knows that together we are more. To deepen community is to find joy together. When we develop deep community, we can overcome our loneliness and challenge our fear; we can come together to make sense of the destruction around us; we can reach out together and actually do something about it. When we develop deep community we can move toward Collective Impact. Tamarack in partnership with Caledon Community Services presents this one day workshop where you will learn how to engage and deepen your community in order to build a common agenda for large scale change. 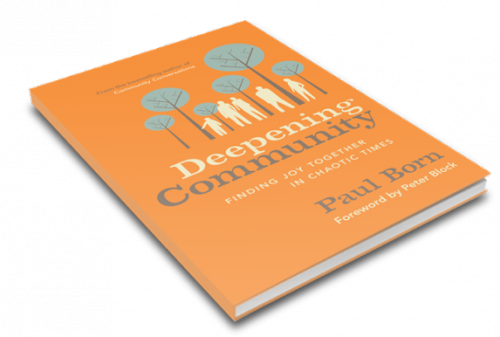 Paul Born will share not only the fundamental principles of Collective Impact, he will provide key insights as one of North America’s top Community Engagement leaders on how Deepening Community can sustain us as leaders and produce the outcomes we so desire. He will move these insights into practical tools for hosting large-scale conversations in your community - conversations that truly engage people toward a common agenda and a collective impact. He will also be introducing Collective Impact 3.0 and weaving new learnings from these concepts into the discourse of Deepening Community for Collective Impact. 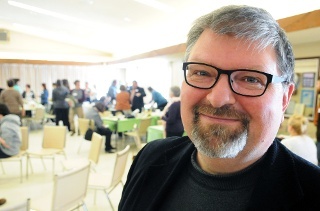 Paul Born is the cofounder and President of Tamarack Institute, a leader on issues of place, citizenship engagement, collective impact, and community innovation. The author of four books, including two Canadian best sellers, Born is internationally recognized for his community-building activities that have won awards from the United Nations and as a senior fellow of Ashoka, the world’s largest network of social innovators.